If I chose the nominees, none of that would have happened. Permit me to unlock this web page with the key of film obsession. Beyond it is another dimension- a dimension of sound, a dimension of sight, a dimension of liberties. You’re moving into a space of both shadow and substance, of crimes and misdemeanors. You’ve just crossed over into . . . the Beaubien Zone. In here, I am the sole voter of the 81st Annual Academy Awards. To make it more interesting, I will not recognize any of the existing nominees from that thing we’ll call reality, as much as it pains me to see the Best Supporting Actor category without the Michael Shannon nomination. Not only is the challenge more enticing, but it also works as a collection of those deserving – some even more – who were snubbed. Now this would have been a far more entertaining Oscar Night! I was very tempted to also nominate Philippe Petit from Man on Wire for Best Actor. True, he is just playing himself, then again, he is always performing. Plus he does his own stunts! by Christopher Beaubien • January 26, 2009 • Start the Discussion! We were spoiled by last year’s Oscar telecast. It didn’t feel that way at the time, but after going through the slough of nominations deemed safe by the Academy of Motion Pictures, a year where No Country For Old Men (2007) took home the big kahuna is looking more lustrous. Amidst the categories is a rigid formula of regularity that just strengthens my conspiracy that the Oscar voters are in cahoots with The Sandman. Some of nominees are deserving, but many of them have been preordained by the death of a thousand cuts that film pundits call Oscar Buzz. Mind you, I’m writing this with a little tongue in cheek. If the few deserving nominees were absent from the categories, it would be disappointing despite how much news preordained the suspense out like a strangled balloon. Looking at the Best Actor nominees alone, four out of five great choices is not bad. Other categories are not as kind. This is the first out of two think-pieces about the 81st Annual Academy Award Nominations. Taken as a whole, the best films released in 2008 tasted just as sweet as those in 2007 did. Looking at only the titles There Will Be Blood (dir. P.T. 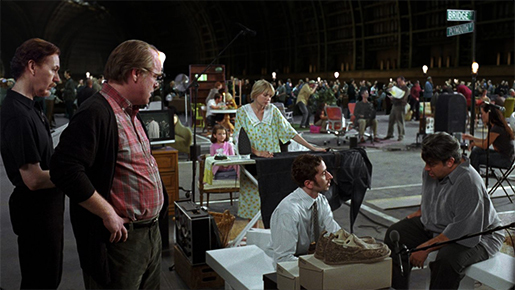 Anderson, 2007) and Synecdoche, New York (dir. Charlie Kaufman, 2008), I would be immensely cheered at the state of American cinema. However, there were a number of films scattered and tucked away in corners of the film distribution that saw almost 650 films released in 2008. My impression is that at least twenty to thirty films of a given year should be of great quality. Within those hundreds of films released, it is a pity that so few are wonderful. Still, who can quibble about a year where Charlie Kaufman, Christopher Nolan, Hsiao-hsien Hou, Mike Leigh, Kelly Reichardt, and some triumphant newcomers such as Lucí­a Puenzo and John McDonagh performed so well from either the open or the outset? I saw a number of films that made their way to Vancouver. There are a few lingering titles that might have been included on this list if I saw them such as Steve McQueen’s Hunger, and Pere Portabella’s The Silence Before Bach. I missed those films shown at the Vancouver International Film Festival that year. My excuse was being bedridden with a cold; I missed out on so much that week. Unfortunately, Portabella refuses to release his film through circuits outside the mercy of unreliable theatrical distributions, which I am taking personally. Making a list of the best films of the year generally affords the critic an opportunity to collect preferred films as an artist would apply to a collage. Which titles that carry particular visuals and ideas are arranged by the same intellectual deliberation crossed with the finesse of emotional intuition a painter applies a brushstroke. These recommendations could be read as a chef’s deliberate, however liberal feeling, succession of entrées like: starting with Potage à la Tortue, then Quail in Puff Pastry Shell with Foie Gras and Truffle Sauce, following by Cheese and Fresh Fruit, and finally Baba au Rhum avec les Figues — the prize to the movie I am referencing is the prize itself. The films themselves are so different from one another — not including the given works of formulistic hacks — that measuring a film about a vampire versus a film about a hermaphrodite often appears as a defeatist’s approach. I look at this as a collection of films that made a lasting impression on me, and not as a system of rank. Just because Gus Van Sant’s Milk or Jonathan Demme’s Rachel Getting Married didn’t make the top ten does not mean I think any less of them. I love them dearly. Without further ado, here are the movies that made me sit up a little straighter than usual this year.